"Owned and managed by the erstwhile ruling family of Patan, Hotel Madhuban is a home away from home. Soak-in the pleasures of traditional Rajasthani hospitality in comfortable rooms and a relaxed ambiance. 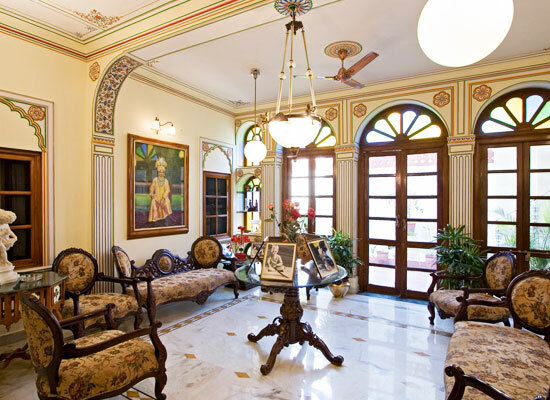 One of the finest heritage homes in Jaipur, Hotel Madhuban astonishes guests with world class hospitality. The clan takes great pride in ensuring that guests enjoy a good time right from the moment they arrive. A good care of the visitors is also an added plus. Hotel Madhuban is the residence of Rao Digvijay Singh Patan and his family. Rao Sahib Digvijay Singh is head of Tomar Clan in India since 11th September 1991. The royal hotel is owned and managed by the Patan Family who make sure that you enjoy a memorable stay. Accommodation at the hotel Madhuban is a comfortable affair. All rooms and suites are meticulously designed keeping in mind every type of guest. 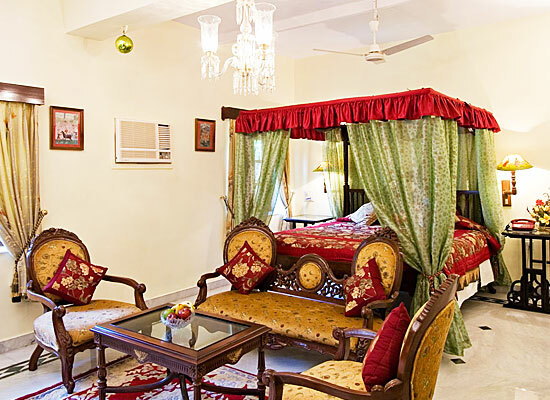 Different categories of rooms at Madhuban are crafted around the royal heritage of Rajputs. Royal Suite - Royal Suites are ideal for those who wish to add a touch of royalty in their trip. The suite comes with a whirlpool. Take a dip in the pool or unwind while listening to the tales of history of Rajasthan. 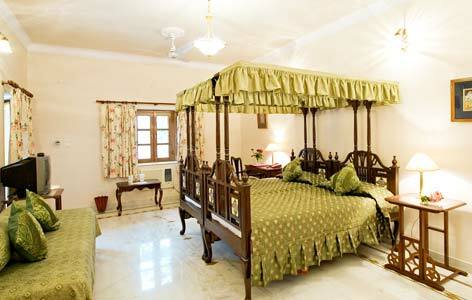 Suite - Large and airy, Suites at Hotel Madhuban are very tranquil. These come equipped with bathtubs so that you can even enjoy bathing in leisure. Super Deluxe - The aura of the super Deluxe Rooms make you feel at home. Period furniture in the rooms add an old world charm to it. Deluxe - All the rooms come equipped with modern amenities and showcase the expertise and skills of the Rajasthani artisans. 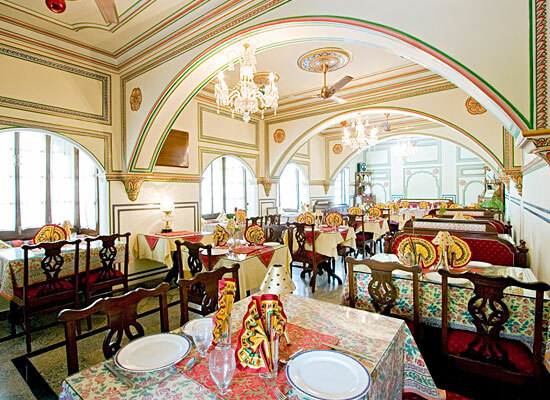 Savor the fine Rajasthani cuisine served right from the homely kitchen at Hotel Madhuban. The richness of the cuisine thriving in the barren desert will surprise you to the core. Feel free to eat out in the lawns or get it served in our beautiful dining room.